I've got some great news to share. 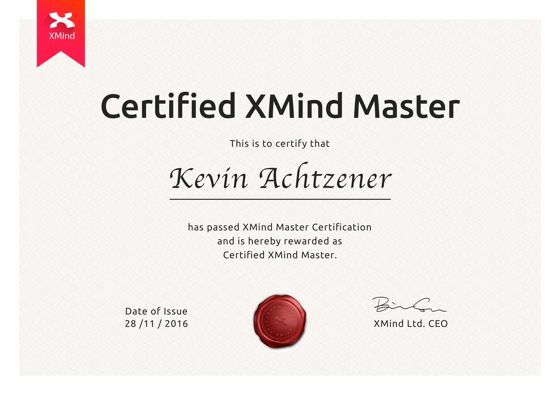 I've just been approved by the folks over at XMind to become a Certified XMind Master. I'm one of the first. 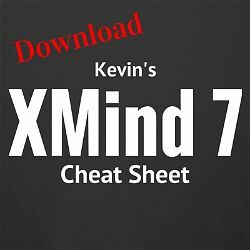 The best part of being a Certified XMind Master is that it's going to benefit all of us. You'll now be able to get 30% off of all the products on XMind's site by using my coupon code. Let me explain the 30%. XMind Pro is “listed” at $129, so 30% off is $90.30. That's the number you need to remember. XMind usually sells for $99. If you buy for $90.30, you'll see a savings of around 8.8% compared to the usual price. 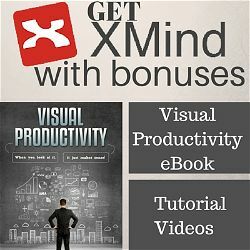 We'll also be changing up how we sell XMind products on VisualProductivity.com. Now, you can simply go to XMind's site and plug in my coupon code. You'll get the software right away, and then we'll figure out how to get you a bonus (besides the 30% off). I'm still trying to confirm the exact details with them, but I'm hoping that the receipt you get from them will have a reference to me on it somewhere (if my code was used). 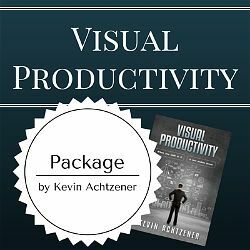 I'm hoping you'll be able to forward the receipt to me and then I'll get you setup with the Visual Mapping Quickstart – just like we've been doing. The only difference will be a cheaper price for you and a faster experience. I've always hated making you guys wait for the code, so this will reduce some stress for me too – especially on weekend orders. OK, so where's the coupon code? I'm still getting things setup with XMind for the coupon code, I'll obviously get things changed over pretty quickly once I get it. Keep an eye out. I'll make it available on YouTube, here on the site, and anywhere else that's relevant as soon as I can. It looks like I'll also get a chance to be featured on their webpage too. I'll likely have some videos put up there, which will be great. I'll also have higher priority for the request and suggestions that I send them. I know they take all suggestions, but I think we can work with this to get some of the best productivity ideas added to future versions. I love when you share suggestions and difficulties you're having with the current version and I'm looking forward to helping to send more ideas over to XMind in the future. I'll keep you informed as I know more.